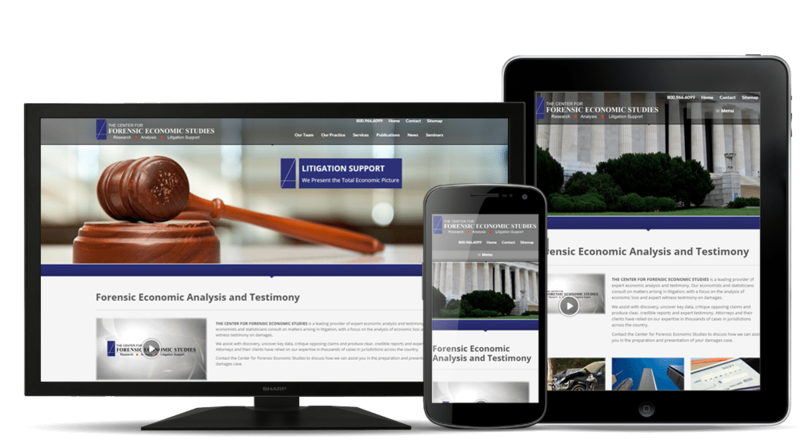 The Center for Forensic Economic Studies - Creative Communications and Graphics, Inc.
We take action: Once we’ve heard your goals, we take our years of experience and apply it to delivering your message. With our legal client, we created a compelling website, video and supporting bios and CVs. We took care in presenting all material as a well thought-out and highly effective branding campaign. It was important for his clients to be able to access his information from anywhere. That’s why CCandG made sure to implement a mobile-friendly design while maintaining the new branding concept. The site features video, PDF’s and awards all in a flexible web environment. 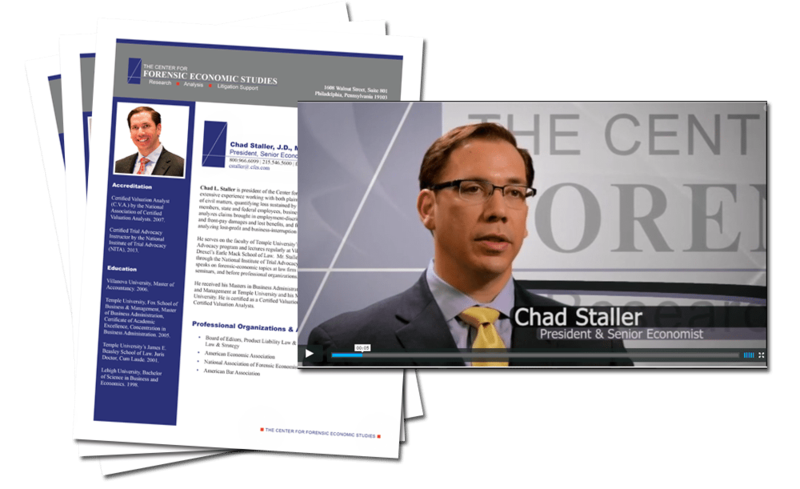 CFES not only needed an upgraded look and feel for their website, they also want to create professional bio videos to showcase the firm’s talented staff. CCandG professionally shot all the video and then edited and produced the video in various formats for online and off. CCandG also created Attorney CV’s in PDF format for easy printing and viewing online. The client was extremely happy with the final products.